Although singing is something most kids at the age of four show less interest in, some kids love it, and in that case, parents should encourage their children who have interested in singing. Kids singing lessons are a great way for children to express themselves and relieve stress. The earlier that a child starts to learn to sing the more effective the singing lessons are as they pick up the cues and prompts much faster at an early age. Kids lessons for singing can be very helpful for your child. Learning to sing will not only encourage your kid’s self-esteem and confidence but is also very beneficial for a child’s growth and development. If your youngster is enrolled in this course, he or she will discover different music styles although developing their vocal skills. The possibility of boosting your child’s self-confidence is also undeniable. In most children, they turn out to be more interested in experimenting and trying something new, and willing to participate in good activities making them a happier person as they grow. Kids can start to take these lessons as soon as they want to. However, before your child reaches nine years of age, he or she should be taught differently than for older kids and adults. They should also learn to practice and identify music intervals and scales in their lessons. In kids singing lessons, the training course should be kept fun and interesting so that they don’t lose interest. Young children can also work efficiently on their ear-training. This will help your child to stay in tune. What Are The Benefits Of Kids Singing Lessons? As a parent, you should know that singing classes can bring lots of positive benefits to your children who are as young as 4 years. Music enhances the process of learning.During the lessons, most of the body’s systems of your youngster are cultivated which include the nervous system, especially on the areas of cognitive, sensory, attention, memory, emotional and motor activities. These areas are shown to become the beginning of all other learning. Kids singing classes may also help your child to release his or her frustrations, inner tensions and naturally releases her self-expression. This training course will also assist your child to improve his cognitive and motor abilities, but strongly enhances your child’s self-esteem and self-confidence. According to research, youngsters who acquired high levels of training in singing lessons during their childhood years show higher levels of mathematics proficiency. Also, it shows brain changes and superior memory compared with kids who have no experience in singing lessons. For healthy social development, young children at around the age of four who participate in singing lessons have a high self-perception, high cognitive competence scores, and general self-esteem. They also have the lowest possibility of being involved in the lifelong use of alcohol, cigarette smoking, and illegal drugs among any group in the society. 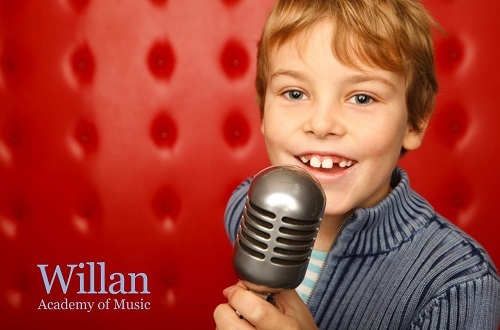 Singing classes will allow your child to engage in their musical abilities. It is a great way for them to express their selves through singing. What’s more, singing lessons can positively affect regional brain growth, self-perception. So what are you waiting for? It is never too early. Enroll your child and be amazed at the gradual changes happening in your precious little angel.